LAHORE: Legendary Urdu and Punjabi poet Munir Niazi was remembered on his 90th birth anniversary on Monday. In 1928, he was born in Khanpur in a village near Hoshiarpur, India. After partition, he migrated to Pakistan and settled in Sahiwal. Niazi, a master of the poetic imagery, was bold enough to experiment with the many genres of poetry. He is credited with creating a distinct style, rhythm, and diction. Mythology, nostalgia and haunting romance are some of the themes that are found frequently in his poems. He wrote numerous songs for films and made his name as one of the best songwriters in Pakistan movies. He also wrote for newspapers, magazines and did shows for Radio Pakistan. In 1960, he established a publication institute, Al-Misal. He was later associated with Lahore Television. He lived in Lahore until his death on December 26, 2006. 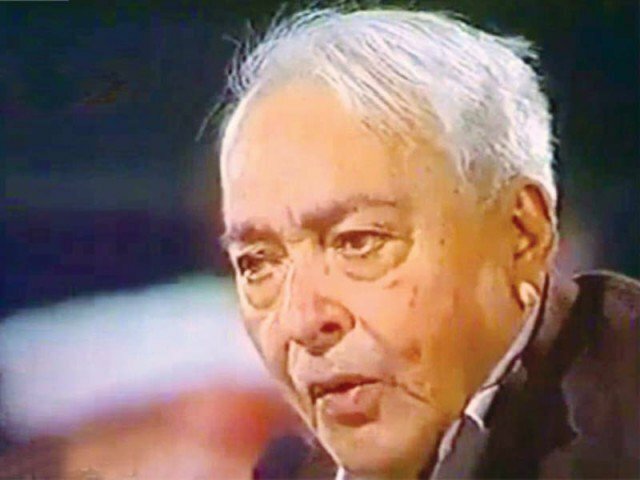 “Taiz Hawa Aur Tanha Phool,” “Jungle mein Dhanak,” “Dushmanoon Kai Darmiyan,” “Sham” and “Mah-e-Munir” are some of his known Urdu publications. I participated the august anniversary of renowned poet Munir Niazi at Alhamra, Laore on 9th April, 2018, and shared the celebration with my poem ‘Kaghaz ki Zubaan’ – a new creation. I participated the august anniversary of renowned poet Munir Niazi at Alhamra, Lahore on 9th April, 2018, and shared the celebration with my poem ‘Kaghaz ki Zubaan’ – a new creation.